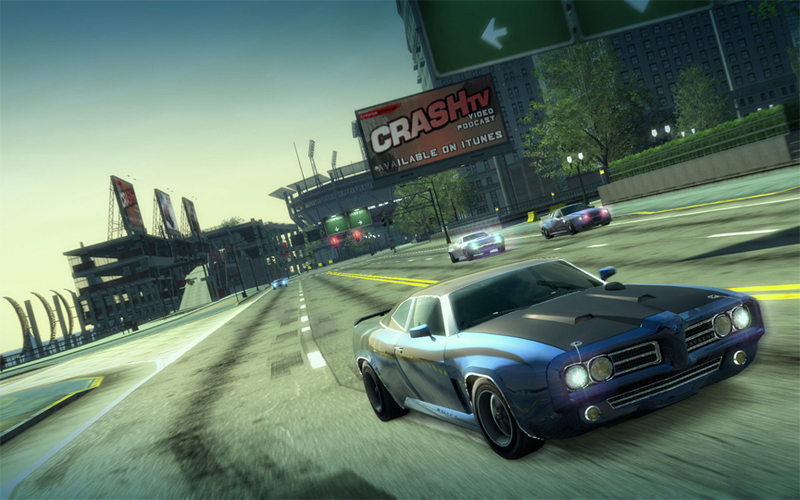 When it launched 10 years ago, Burnout Paradise was a revelation in racing games. 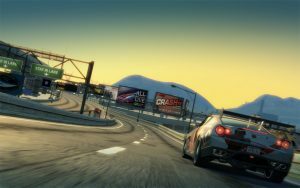 Sharp graphics, spectacular crashes and unprecedented freedom gave players a veritable playground to race through without being confined to a track like so many other driving simulations. 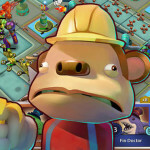 To further expand the sandbox and its toys, Criterion Games pumped out eight downloadable content packs that offered additional areas, cars, motorcycles and more. It was everything a racing fan could have dreamed of, and with the announcement that the game was being remastered after a decade, it looked like Burnout would reappear with a shiny new coat of paint. 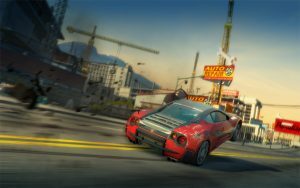 But while the game looks incredible in its updated state, Burnout Paradise Remastered remains exactly the same under the hood, and that’s a problem in a genre that’s moved well beyond it. 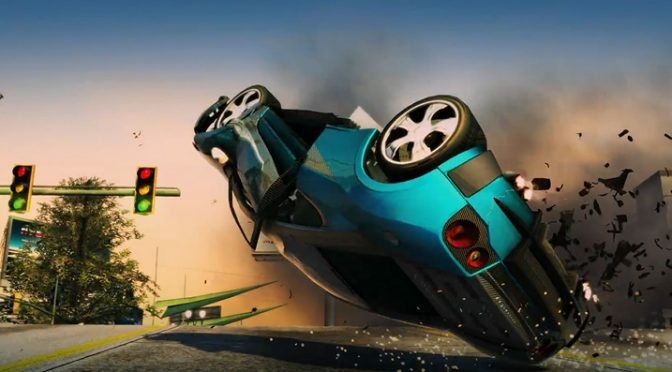 After a brief tutorial showing you how to repair a vehicle, Paradise sets players in the middle of a wide-open, destructible city, full of areas to explore, races to take part in and cars to crash. At its launch, these features were unique to a racing game, and Paradise is largely the game that brought the idea of open-world racing to the forefront. You can drive anywhere in the city from the get-go, with pulling up to a stoplight and (appropriately) doing a burnout initiating a race or challenge. 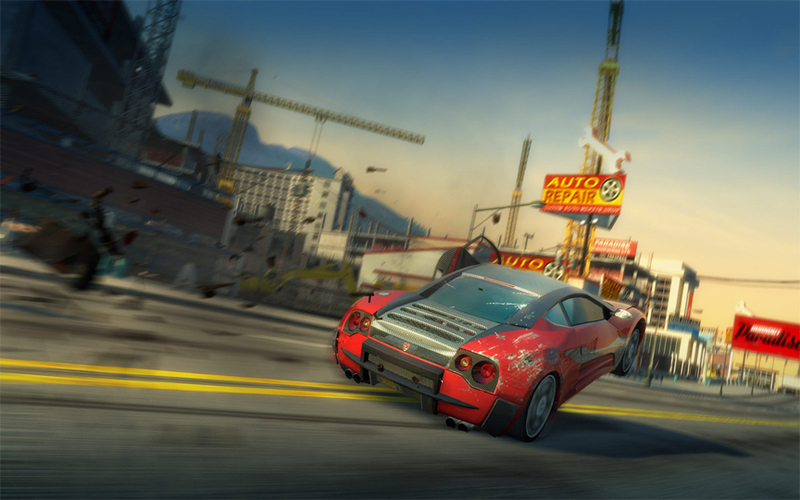 Successfully completing enough challenges unlocks new cars, each with different strengths and weaknesses. 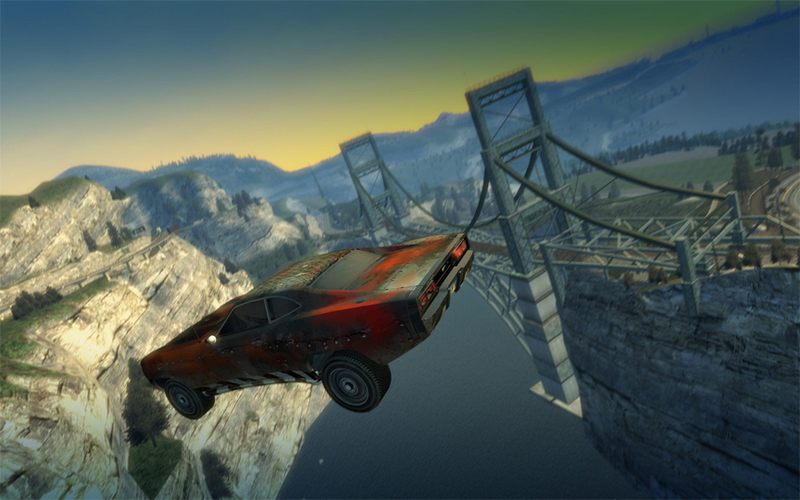 As was always the case with the Burnout franchise, driving erratically, performing stunts and flying around at excessive speeds is rewarded with extra points and added fuel to your boost meter so you can continue driving like lunatic. 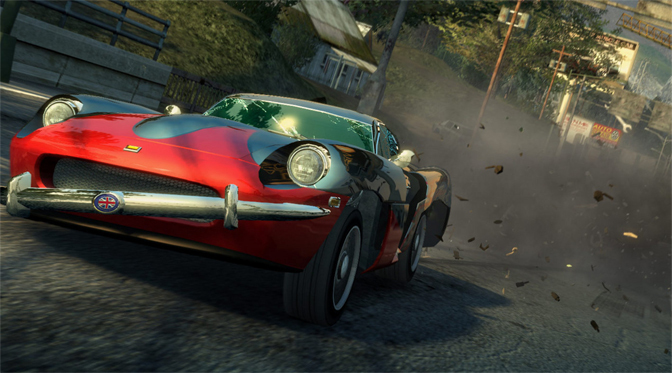 Burn rubber to get a copy of Burnout Paradise Remastered from Amazon! And drive like a lunatic you must because other racers are all too happy to run you off the road, causing a slow-motion crash that plays out in gorgeous, epic detail. These are the moments that still set Burnout apart after so long, and there’s no feeling quite like winning a close race by slamming your opponent into a wall just before the finish line, watching as the car crumbles into tiny shards of ruined metal. While those moments never get old, Burnout Paradise Remastered doesn’t keep the luster of the original because of how it’s designed. With every DLC pack included, the thrill of the chase simply doesn’t exist in this version of the game. All of the best cars are unlocked from moment one, as are what were once new areas to explore. The thrill of playing the bike and toy car DLC is also missing the same impact because it feels like it was always a part of the game, not something that was added on later as a new enhancement. It’s a strange paradox, but because the game gives you so much content from the beginning, the reward of progressing is somewhat diminished. 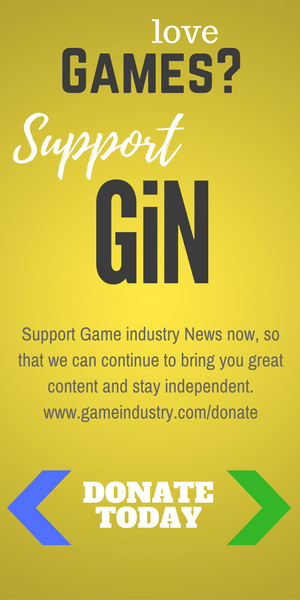 And it’s not just the content that feels watered down. 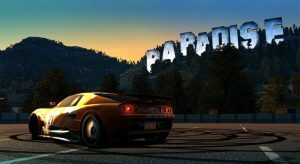 In the time since its release, Burnout Paradise has seen games build upon its foundation, most notably the Forza Horizon series, and it’s almost impossible not to notice how barebones Paradise feels in comparison to its larger, more customizable counterpart. Paradise lets you change your car’s color, but nothing more, and compared to Horizon, the map seems a fraction of the size it once did. Horizon’s real-life makes and models of cars compared to Burnout’s generic options also stand out. 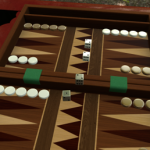 Additionally, the options menu is limited, with basic features like the ability to turn off vibration missing. And in what can only be assumed is an oversight, there’s no visible controller configuration available. It’s almost as though the developers forgot the original game had an instruction manual but the new one doesn’t, so you’re more or less left figuring out the game’s nuances and controls as you go. Ten years ago, Burnout Paradise was something unseen in the gaming world, laying a foundation for some incredible games to come after it. 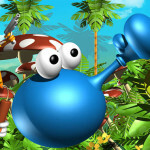 It’s unfortunate that its remastered form feels more like a series of missed opportunities than a return to a great classic. Burnout Paradise Remastered is exactly the same game it was a decade ago, albeit with a new coat of paint, and all of the previously optional DLC packs included from the start. 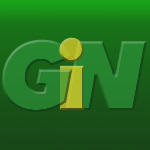 It earns 3 GiN Gems out of 5 for remastering a classic game without really changing the core mechanics. 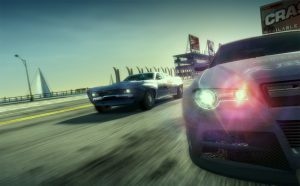 If that is how you like your classic titles, or your racing games, then turn the key on Burnout Paradise Remastered.